During our liveaboard cruises we offer in addition to the spectacular diving and relaxing time on the Nautilus Liveaboards plenty of other activities. The offer reaches from culinary highlights, over excursions at deserted islands, to sports activities. So not only guests with diving certification come fully at their expense. 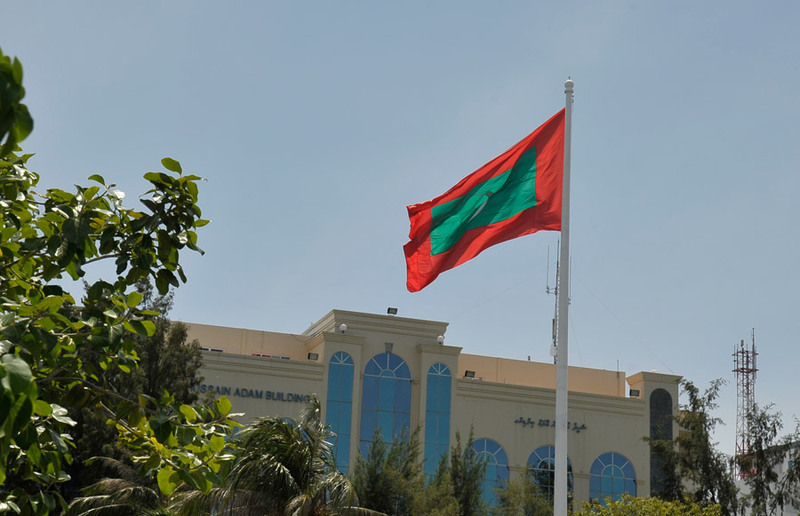 Also for kite surfers the Maldives have perfect conditions with its endless lagoons and fresh winds over the sea. So if you’re a kite surfers, bring your equipment to your trip with the Nautilus Two. Our crew knows the best spots for kite surfers in the Maldives and so you can even kite in between instead of going to dive. 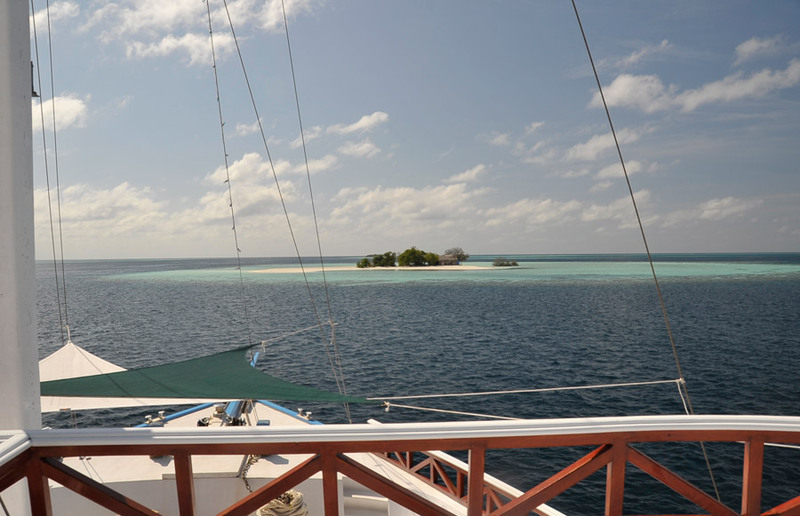 At almost all anchorages of the Nautilus Liveaboards wait dreamy lagoons to our guests. Each time there is a possibility , after consultation with our crew, for swimming or snorkeling into the water. The bathing platform on the rear of the Nautilus Liveaboards make the entry and exit very comfortable. At each tour there is the possibility to visit some local islands. Maldivians sale in small shops handicrafts such as carvings, brightly painted wooden fish, colored silk scarves, postcards and more. Sometimes the Nautilus Two also stopps on a tourist island, where usually a “sundowner” is enjoyed at the hotel bar. One evening at Gilligan’s Island, who does not dream about that? We make it possible and invite our guests on one evening of the liveaboard trip to an unforgettable island barbecue with the delicacies of the Maldives. 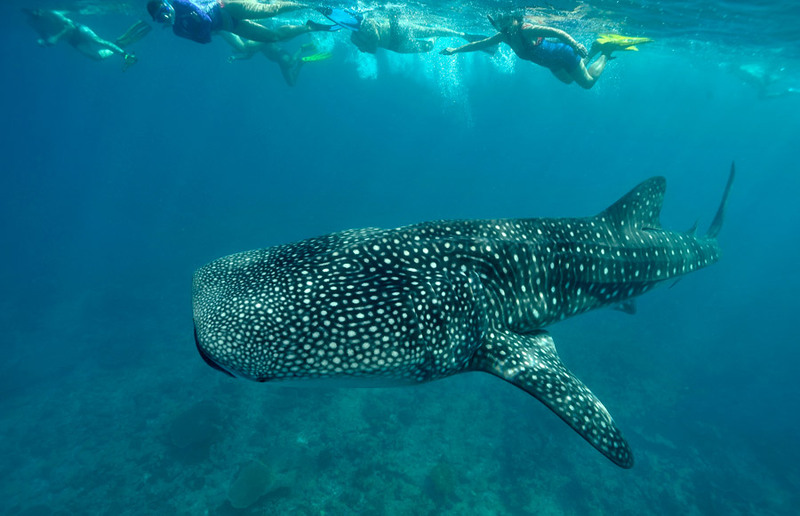 Around the peak season to the whale sharks on the Maldives, we offer our guests a unforgettable excursion. With the comfortable Dhoni we start to the top spots of the whale sharks and offer our guests the chance to swim and snorkel with these majestic animals. 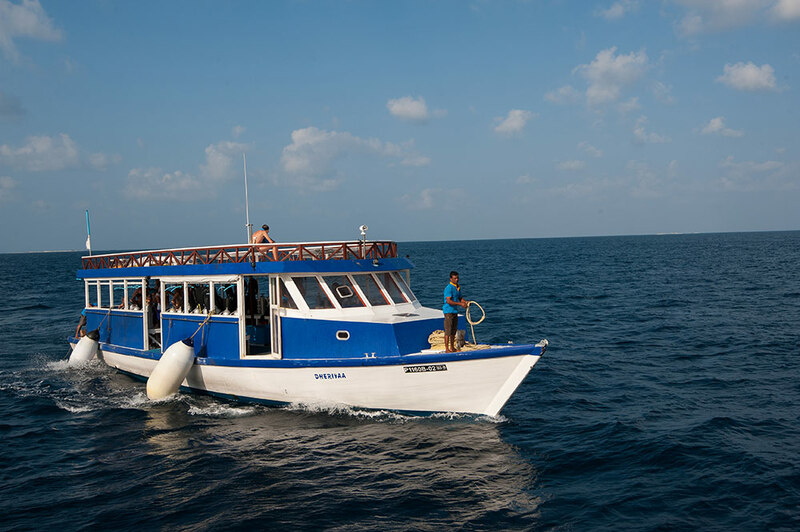 During the diving safaris on Nautilus Liveaboards every afternoon and evening there is a possibility to join our crew on typical type of Maldivian fishing. Gladly our Chef prepares your fresh catch for you.